Could Tier 2 visa changes have a disastrous effect on your start-up? Do you employ migrants from outside the EU? Does your start-up rely on foreign talent? Well listen up because recent changes to Tier 2 visa restrictions could have an impact on your business and the way you hire staff. On Wednesday April 6 2016, the government introduced a new ruling for Tier 2 visa changes which means most non-EU migrants in the UK on a Tier 2 visa now have to earn a minimum £35,000 salary in order to qualify for settlement in the country. Anyone from outside the EU who has come to the UK on a Tier 2 visa since April 2011 now faces deportation. Announced by Theresa May earlier this year, this new ruling has stirred up a lot of debate with critics arguing it’s going to “hurt” UK start-ups who rely on foreign talent and will make it far more difficult to recruit skilled workers from outside the EU. There is also criticism that it will have an impact on the number of non-UK entrepreneurs looking to set up a company in the UK. What are the changes to the Tier 2 visa scheme? Kelly Hendricks of Philip Gamble and Partnership explains that the changes to the Tier 2 income requirement should be seen as a way to identify those skilled jobs which need to be filled through sponsored workers from abroad, as it’s not possible to employ someone locally. Tier 2 visas are given to non-EU workers which are sponsored by a company. 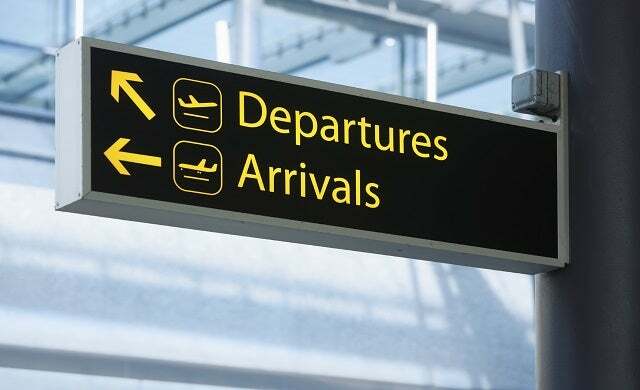 Those who stay five years (six under the new rules) must either meet the minimum requirements for indefinite leave to remain (ILR) or must leave the UK for at least 12 months before reapplying for entry. The updated ILR requirements now include the £35,000 minimum salary requirement, minimum residence, and company sponsor. To allow only those skilled workers who are employed at a level deemed to be above training level to be afforded the opportunity to gain settlement in the UK after completing five years residence here. Not all jobs undertaken under the Tier 2 scheme are affected by the changes, as Hendricks highlights: “There is also a shortage occupations list and some jobs are exempt from meeting this requirement.” Jobs that aren’t impacted by the changes (which don’t have to meet the £35,000 threshold) include certain roles in programming and engineering, social work, electronics and medicine. Hendricks asserts that, as the £35,000 income threshold was first announced in April 2011, both employees and employers who entered the scheme over the past five years should have been aware of the requirements for settlement when obtaining their visas in the first instance. So, should you be worried about the Tier 2 visa requirement changes? In Hendricks’ view, given the Tier 2 visa scheme enabled the applicant to remain in the UK for a five to six year period from 2011, businesses have had sufficient time to use the resource to train someone up locally “to create an opportunity for a local worker to fill the role at the end of the sponsored worker’s time here”. Hendricks says that in her opinion she cannot see that businesses should be affected in the short-term. However her view isn’t necessarily shared by others in the space. Chetal Patel, associate of Immigration at Bates Wells Braithwaite, believes the new salary requirement is going to “undoubtedly cause difficulty for start-ups and small businesses in the UK”. Patel also thinks that the new rules could potentially deter the “best and brightest foreign entrepreneurs from setting up in the UK when they could start-up in another country which is not subject to the same rules”. The three experts we have consulted with have varying opinions on the impact, and extent, that the recent Tier 2 visa changes will have on start-ups and small business owners. What is clear from all three arguments is that if you employ non-EU nationals on a wage lower than £35,000 – for a job that isn’t included on the government-approved shortage occupation list – then you are likely to be affected. You will either have to look at increasing your sponsor’s salary or you will have to hire someone from within the EU to replace them.